Home | Blog | 10 Valentine’s Day Recipes to show your love … with food! 10 Valentine’s Day Recipes to show your love … with food! If you’re anything like the team in at MoM CookClub HQ, Valentine’s Day isn’t really about jewellery … or flowers … or champagne (well maybe champagne!). It’s much more about us having an excuse to get to work in the kitchen to show the ones we love just how much we really do LOVE them! After all, what greater love is there than nourishing our families? Sweetheart Cookies for your Sweetheart? Forget Gender Reveal! This Hidden Heart Cake will be the perfect Valentine’s Day Surprise! If your Sweet Heart is not big on sweets, give them a Heart Shaped Pizza! Don’t wait until dinner to show your love your love. Now this one is sure to impress! Chocolate Pavlova Cake? Yes please. How cute are these little pastry envelopes? Dial up a standard Eton Mess this Valentine’s Day! No other words needed. 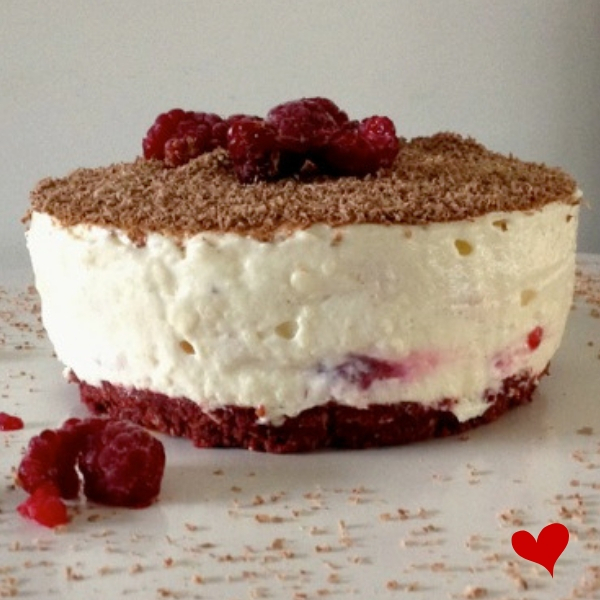 White chocolate cheesecake with a red velvet Tim Tam base! So often, simple is so special. Like these Valentine’s Day Cupcakes! Forget flowers this Valentine’s Day! So these recipes are our pick for Valentine’s Day this year. Will you try one of them or have you got your own special celebration menu planned? I would like a banquet of all these dishes!! Oh some great ideas here – I’ll keep them in mind for our anniversary! Some very cute and creating recipes. This looks delicious! Looks yummy. Wow, that chocolate pavlova cake looks beautiful! I don’t know if you can still get them. My Grandma had a cake tin which was heart shaped. oh how sweet these all look – I love the little envelopes so cute! They are all fantastic and look amazing. Alas, I’m hoping someone will make something for me. After nearly 29 years of marriage, it was more just a Pink Lady Heart chocolate in a card left on the bench for my love before he went to work. Eton Mess is on the Valentine’s Day list. I made the pastry envelopes last year, and I’ve tried the Apple Rose Tartlets. Next on my list is the Eton Mess. It inspires me!! I would love to try the apple roses this year!